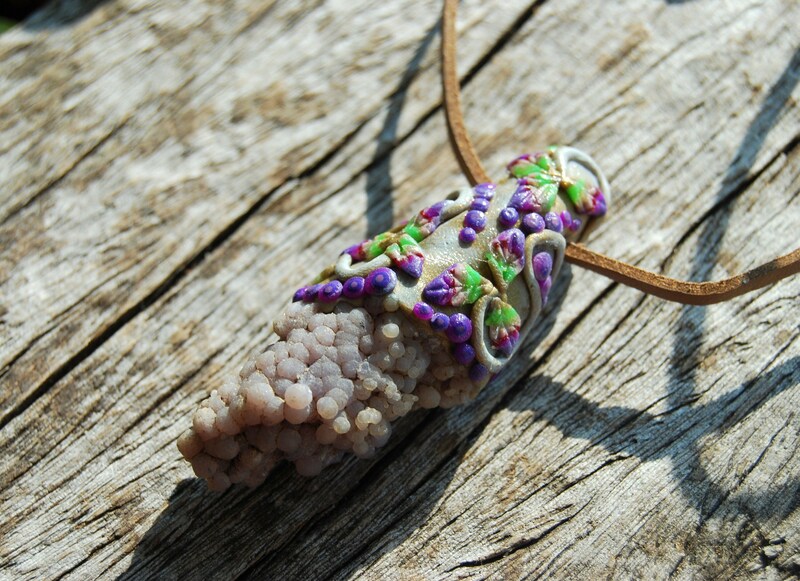 Grape Agate Pendant Necklace Clay Botryoidal Chalcedony - FREE Shipping ! 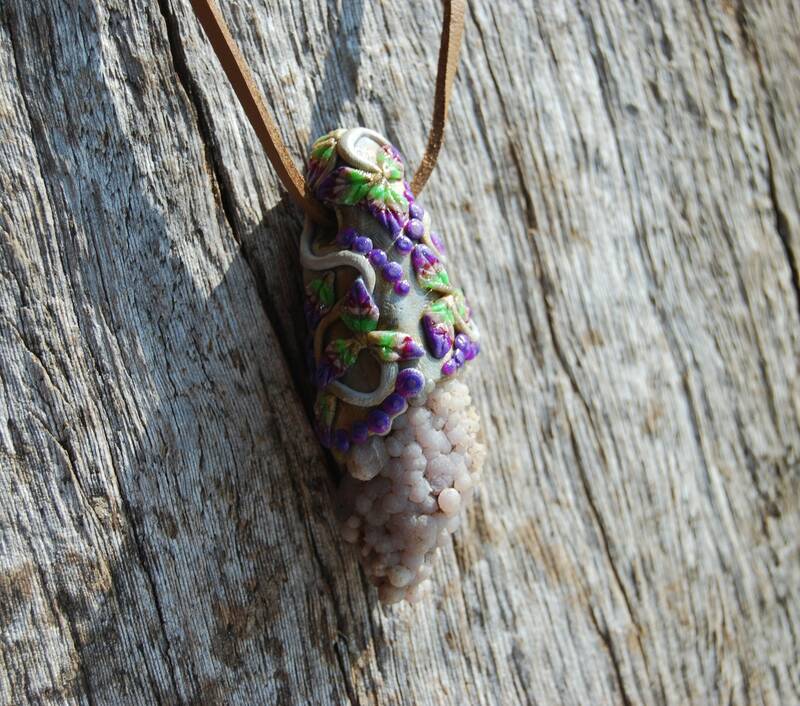 This is natural Grape Agate in a durable handsculpted clay setting that I made myself. 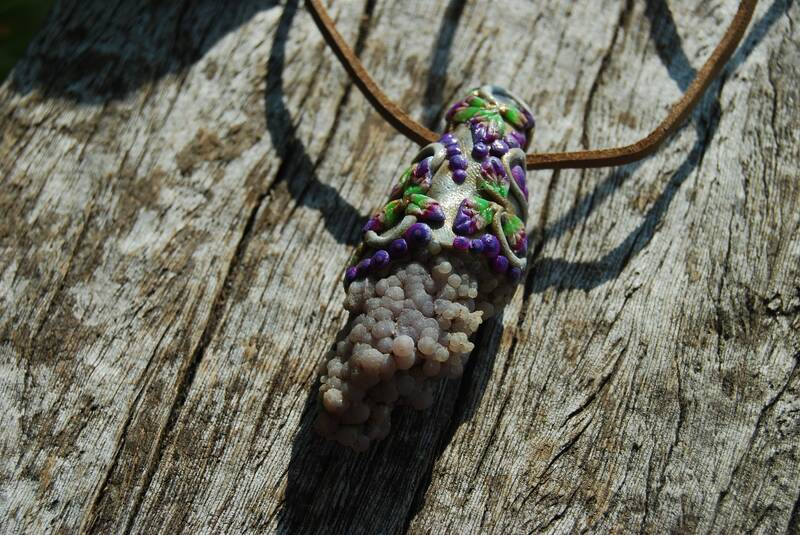 Grape Agates are composed if tiny to small spheres of Chalcedony so it also known as Botryoidal Chalcedony. 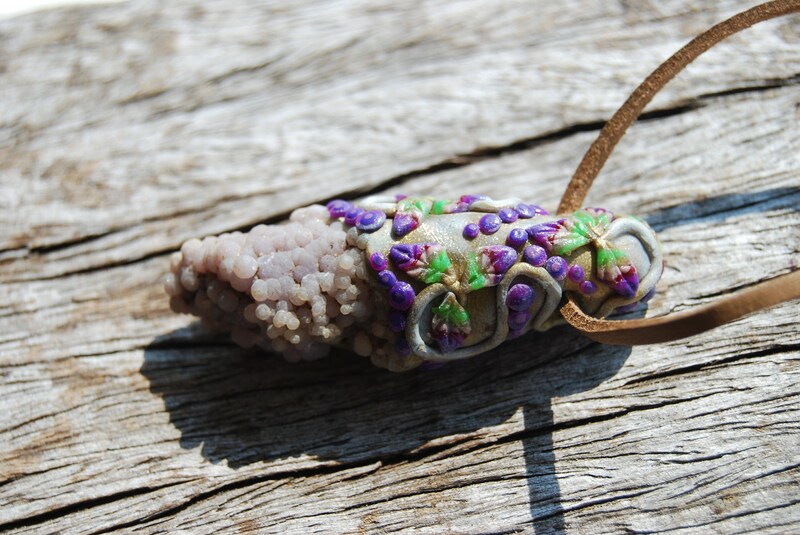 It is a stone that encourages lucid dreaming for prophetic messages. 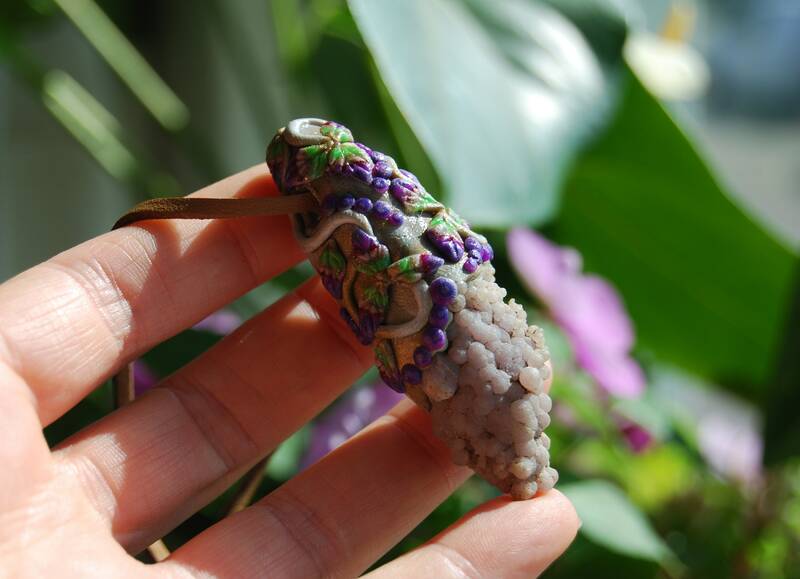 When Grape Agate is near you while you sleep it stimulates your crown chakra and provides vivid messages and dreams. 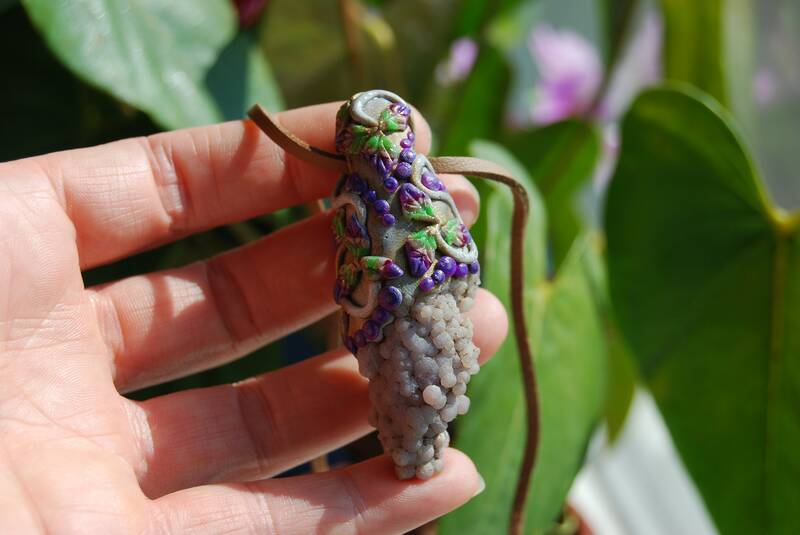 As a whimsical gemstone it holds a great deal of energy which is quickly tapped into, and can facilitate long, intense connections during meditation. 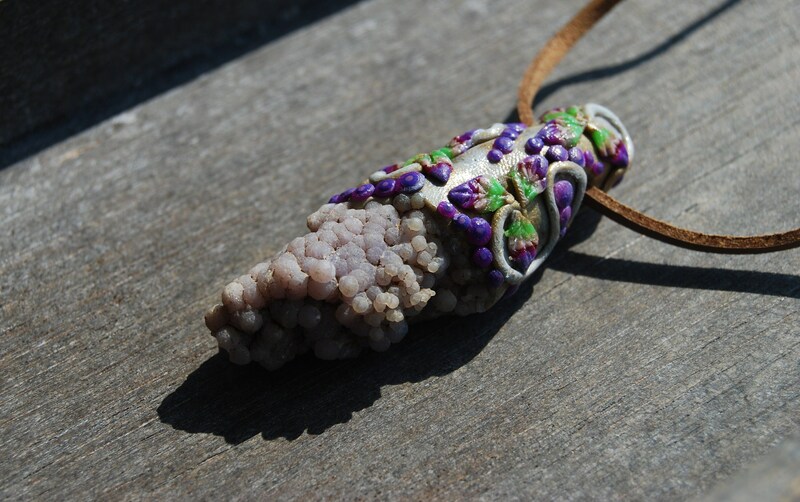 The gemstone offers you a unique perspective and encourages you to look within for answers to life and situations. 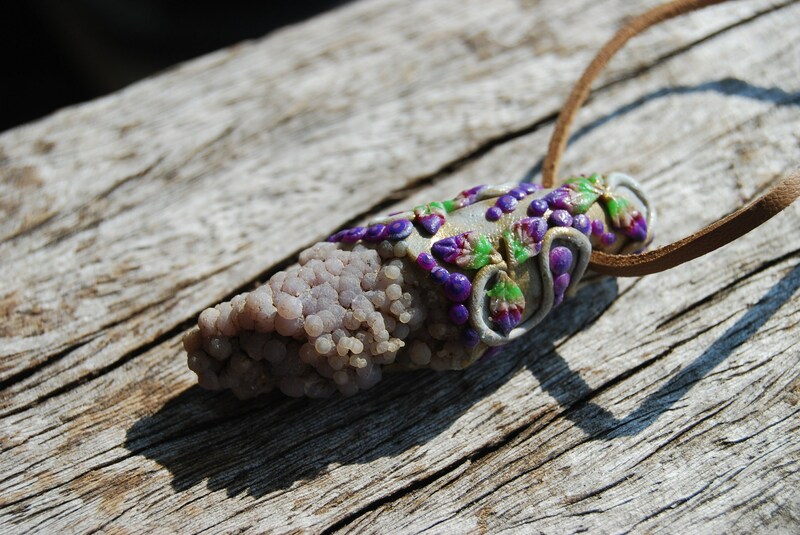 Grape Agate is also a wonderful gemstone for activating the inner goddess and working with goddess energies. 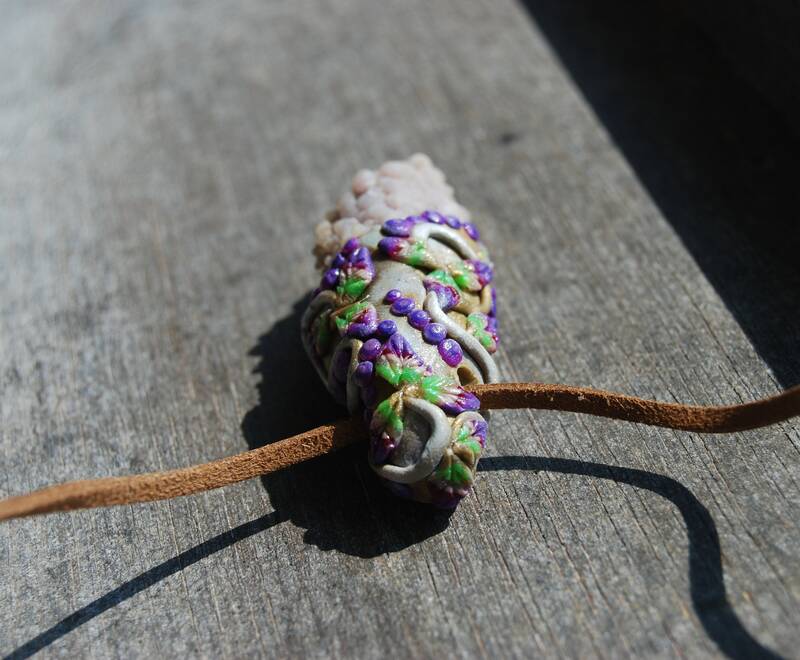 Made with durable clay. However, I recommend to not wear it while swimming or showering to extend the lifetime of the colors.. Some raindrops is fine though. It comes on an adjustable faux leather/suede (vegan) cord. 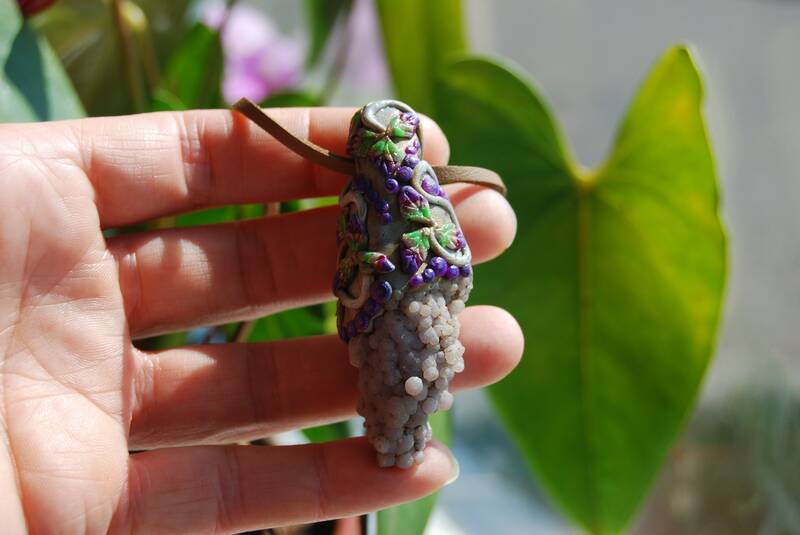 Size is 6.4 cm / 2.52 inches from top to bottom.